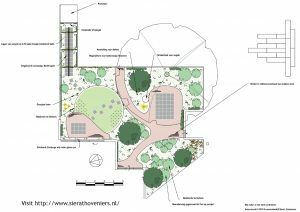 As a base for their design work, landscape designers commonly need to work with drawings from architects and surveyors. Each software application used by an architect or survey firm will have its own proprietary file format. You may be offered base drawings with different file extensions. The most common files seen are AutoCAD files which have the extension dwg, Another application used by survey firms called MicroStation files has the extension dgn. Other applications mostly use the DXF format. This paper describes recommended methods to get base data into gCADPlus when the file format is dwg. Because DXF is an open standard and not proprietary like dwg, we recommend using a file converter to convert any AutoCAD dwg files to DXF and then use gCADPlus’s ability to import DXF. To reiterate, almost all software applications used by architects and others can save a version of their base plan in a format called DXF (Drawing Exchange Format). The DXF was designed to be software independent and work as a file exchange format. gCADPlus allows the insertion of DXF files into the drawing editor via File>Import DXF so that mechanism offers a way to get your base data and saving significant time on a job. A quick overview of the steps to take. You have control over the type of DXF file – there are two different forms of DXF and your consultant may give you the wrong one. Later versions of AutoCAD and MicroStation store all sorts of extra information in the dwg file. Carrying this extra information (rwill slow your copy of gCADPlus down. Stripping a dwg file down to the important base components only, makes for quick convenient drafting in the gCADPlus environment. Once installed, the application can be run any time you receive a base plan in dwg form from a consultant and used to make a DXF version that gCAD can read. The first step is to configure input output folders for Teigha file converter. Then set the type of output file. The figure below shows a typical setup. We are about to change the Output version to DXF 2004 (not dwg). Start a new gCADPlus drawing, and use File > Import DXF. The figure below shows an example. It’s taken from a conversion from GardenCAD, an earlier version of gCADPlus.